How shall a young man steer an honest course? By holding to thy word. let me not stray from thy commandments. The children of Israel did not find in the manna all the sweetness and strength they might of found in it; not because the manna did not contain them, but because they longed for other meat. Each of the world's great religious faiths contains a body of ethical teaching which forms the foundation for the spiritual wisdom that is the glory of that tradition. The essence of this wisdom is the presence of a supreme reality that we may call God and a way of spiritual development whereby the human being may approach that reality and even attain union with it. For this purpose there are, in addition to the sacramental life, the time-honoured spiritual exercises of meditation and prayer. At present meditation is especially widely canvassed, while the ethical foundation of the spiritual life, perhaps because it is taken for granted, is often overlooked. But in fact there can be no union with the divine until we have practised right dealing with our fellow creatures. In the Judeo-Christian tradition the Ten Commandments, or Decalogue, stand at the head of right human relationships. They were imparted by God to Moses on Mount Sinai, and are the prerequisite for the good life. Later on they were to be distilled into the principle of love. Both Jesus and his older contemporary, the Pharisee Hillel, saw that loving God with our whole being and loving our neighbour as ourself fulfilled all the Law. However, the popular concept of love has strongly individualistic overtones, being often equated merely with feelings of goodwill and affection. 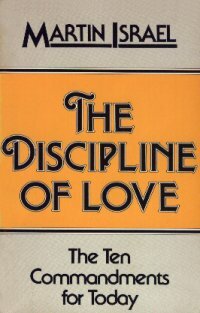 The discipline behind real loving is sadly lacking in this emotional response which is liable to evaporate when the object of its concern ceases to please the person. Therefore the hard lessons of self-control embodied in the Commandments are still pertinent to the human condition. The advent of Christ has in no way challenged the validity of the moral law. On the contrary, it has underlined the Law's demands even more strongly, but by the power of love which Christ came to bestow on the created order, it has made the way of its fulfilment not only more attainable but also more joyful. There is a forbidding element in the ethical teachings of the world's religions, especially starkly articulated in the Ten Commandments, which has led to their being dismissed as essentially negative by their critics. But when the teachings are infused with the spirit of love, their strict demands become a labour of delight, an invitation to the heavenly banquet.